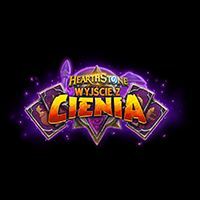 Fifteenth add-on to the Hearthstone card game created by Blizzard Entertainment studio. The leitmotif of the expansion is the return of the villains known from previous DLCs. Thanks to Rise of Shadows, 135 new cards and a few mechanics landed in the game. This is Hearthstone expansion pack. Hearthstone: Rise of Shadows is another add-on to the free card game Hearthstone, introducing new cards and mechanics. The expansion was prepared by the well-known studio Blizzard Entertainment - creators of many popular brands, such as Diablo, WarCraft or StarCraft, as well as the basic version of this production and all the add-ons released so far. The story presented in Rise of Shadows focuses on several villains known from previous additions to the Hearthstone, such as Madame Lazul and Dr. Huk. Under the leadership of Archdealer Rafaam (he was an antagonist in the League of Explorers), they set up the The League of E.V.I.L. and once again wreak havoc in Azeroth. Hearthstone: Rise of Shadows introduces 135 new cards, some of which are known from previous DLCs and are linked to specific black characters. The expansion also enriches the game with a few new mechanics, such as minions, intrigues and two spells. Servants are a new type of players who appear in the game only as a result of using the special abilities of another card. Each of them has 1/1 stats, and additionally has a so-called battle cry - a useful special ability that somehow strengthens allies. Intrigues, in turn, are games that gain in strength, the longer we hold them unused in our hands - for example, a spell of this type can inflict 1 point of damage to all the opponent's opponents if we use it in the first round, but with each subsequent turn in which the card is not used, this value will increase by one point. The last novelty - Two Witches - works very much like the cards marked with the keyword "Echo", known from the addition of The Witches forest. These are spells that can be used twice in successive rounds. After the first playing of the card, we will receive a copy of the card, which will disappear if it is not used. It is worth noting that, unlike the originals, the duplicates do not have the keyword Twinspell - so they do not make subsequent cards. We also pay the normal associated cost for all games. In Hearthstone: Rise of Shadows can be played both alone and with others. Like previous add-ons, the production offers an extensive feature campaign, but the basis of the game is undoubtedly the multiplayer mode. Hearthstone: Rise of Shadows does not make major changes to Blizzard Entertainment's graphics. As usual in the case of expansions to this title, the only novelty here are the illustrations decorating the introduced cards.